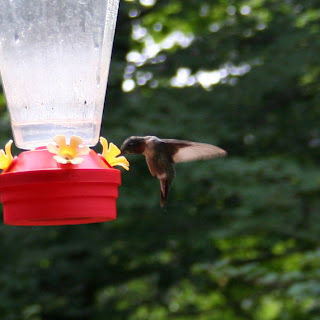 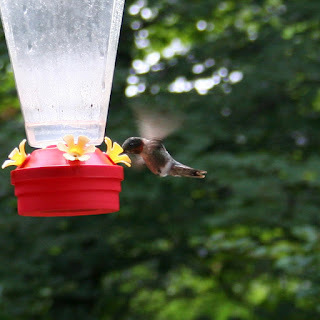 We have a hummingbird feeder here that gets very busy this time of year. 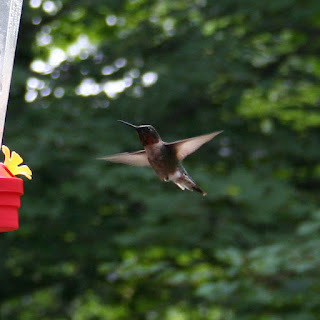 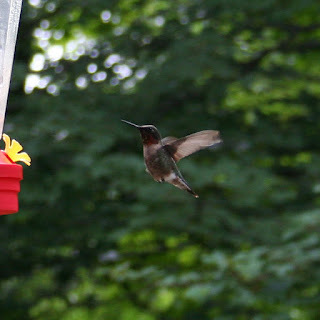 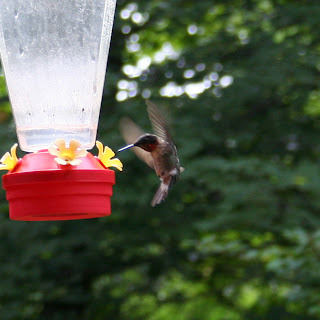 I took the Canon DLSR out this morning and took some shots of our humming visitors. Some of the best of the batch are below (click on an image to enlarge it).